Kenya’s tourism sector has received positive endorsements after it was ranked the second best country in Africa showcasing tourism products at the just concluded International Tourism Bourse (ITB) in Berlin, Germany. Authentic safari and sustainable tourism concepts placed the Kenyan exhibition stand at the position after Rwanda which was ranked the best in Africa and globally. Kenya was positioned at the sixth best slot in the world. “This is indeed a major boost that will positively go a long way in propelling the country’s image globally as a tourism destination; we thank the tourism industry for their immense contribution towards this achievements,” says Kenya Tourism Board (KTB) Managing Director Muriithi Ndegwa on receiving the award. The over 40 travel trade representing Kenya at the exhibition termed the award good tidings coming at a time when the country was laying down recovery strategies to put the sector on track after a dip in performance as a result of bad publicity occasioned by cases of insecurity. “This has given us an edge and impetus towards sustained and innovative ways of meeting and satisfying varied preferences of our clients, “says Lake Bagoria Spa Resort General Manager Lydia Dentewo. 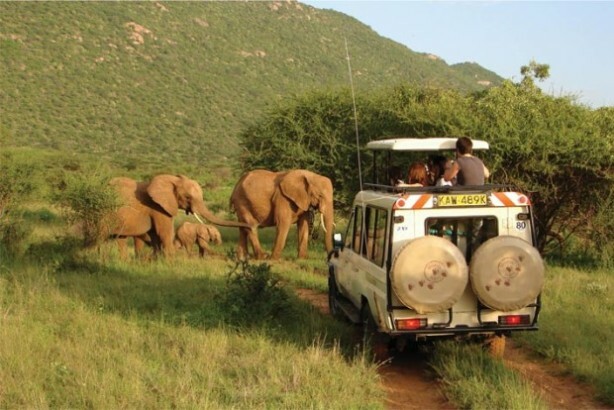 Nature Expedition General Manager Richard Adika described the award as a testimony to the fact that Kenya was indeed a safari destination of choice. Ndegwa disclosed that over the last two years, the national tourism marketing agency has embarked on impressive successful implementation of the products diversification strategy, adoption of new promotion strategies and increased sustainable efforts in collaboration with the private sector. The 49th world’s largest travel trade show edition that took place from 4th to 8th March 2015, recorded more than 10,000 exhibitors from around 190 countries and regions, attracting over 100,000 trade visitors. Ndegwa noted that the global media campaigns showcasing diversity of the destination in tourism product offerings and set to be rolled out next month will further increased the brand visibility of Kenya. KTB has set aside over 140 million shillings for global advertisement campaigns as part of the recovery efforts to revive the sector that has recorded a drop in the recent past. The campaigns target key source markets in Europe, America, Asia, Africa, and the rest of the potential markets to Kenya. Further to these global media campaigns, KTB has also allocated over 15 million shillings towards charter airline promotions and volume tour operators so as to improve on traffic to the destination.